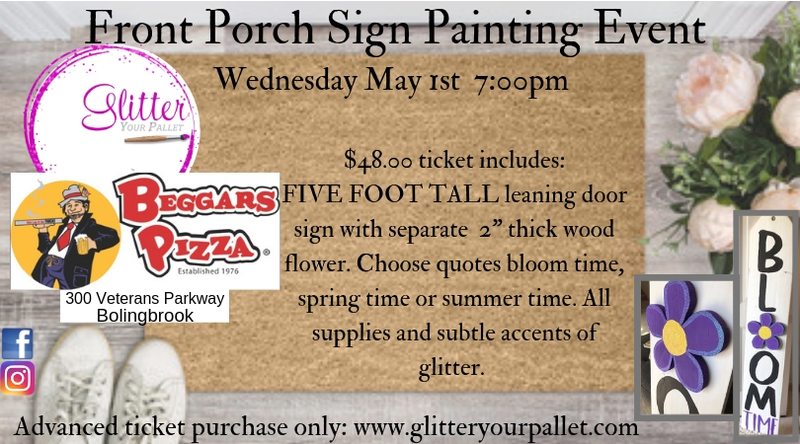 Beggars Pizza Bolingbrook welcomes Glitter Your Pallet for the 5 foot tall front porch sign painting event! Join us Wednesday May 1st @ 7:00pm. Beggars Pizza lays it on thick! Arrive early to dine in or if the weathers great, how about on their beautiful outdoor patio. Yes, you can eat during the painting event. Full menu will be available. A full bar is available for purchase. Check with your server for cocktail and drink specials. $48.00 per person includes an exterior painted 5 foot tall leaning wood front porch sign. Also included is a real wood flower cut out 2″ thick x 10″ wide. Choose “bloom time, Spring time or Summertime. All supplies, step by step guidance and subtle glitter accents are included. Real wood flower is hand cut and sanded from our local Veteran. THIS IS A TWO STEP PAYMENT PROCESS. A $29.00 deposit (tax included) is due now via credit card or Pay Pal. $20.00 CASH will be due the night of the event. Sorry no credit cards or checks on event night. 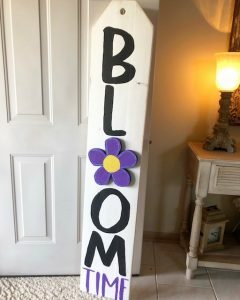 1 available	 5 foot tall front porch sign $29.00 $48.00 project. $1.00 tax. $29.00 due now via Pay Pal or Credit Card. $20.00 cash balance the night of the event. 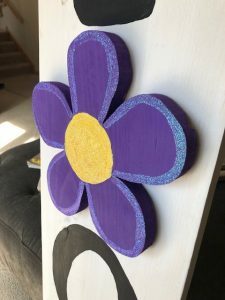 2 available	 Decor Pallet Board $26.00 $45.00 project $1.00 tax $16.00 deposit due now via Pay Pal or Credit Card $20.00 cash balance due the night of the event.